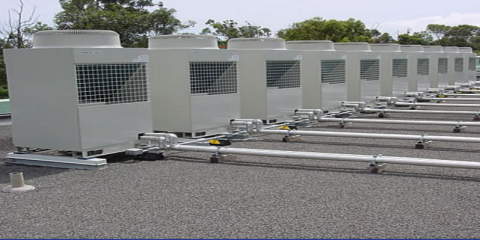 In a warm climate like Hawaii's, commercial air conditioning and refrigeration become exceedingly important. Aloha State Services in Honolulu is the most trusted cooling equipment company on the island, and these experts should be your first call for any commercial freezer or air conditioning needs. These fully licensed technicians can help bring existing equipment back to life or install new, affordable, energy-efficient systems for your business. Aloha State Services has over 27 years of experience serving satisfied Oahu customers, whether their clients’ needs are commercial, institutional, or industrial. Their customers include schools, restaurants, retail stores, and others who need to keep goods—and people—cool. When one of your walk-in freezers breaks down or your industrial air conditioning system goes awry, Aloha State Services offers 24-hour emergency service and a 100% satisfaction guarantee. When you need AC repair or refrigerator installation, contact the EPA-certified team with 150 years of combined industry experience. Aloha State Services' technicians work quickly and efficiently, finishing the job without any obtrusive workplace interruptions. Aloha State Services, the premier cooling equipment business in Honolulu, HI, offers essential services for any company or institution that requires a climate controlling system for their products or employees. For more information about their AC maintenance and freezer repair services, visit them online, or call (808) 832-2622 to speak to a friendly and knowledgeable professional.